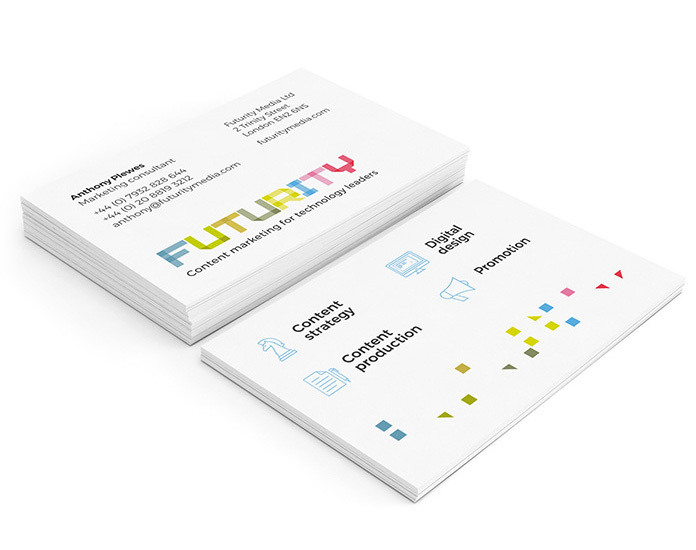 Share the post "Futurity Media rebrand"
Over the last few months I’ve been working on a rebrand project with London-based content marketers and long term collaborators Futurity Media. 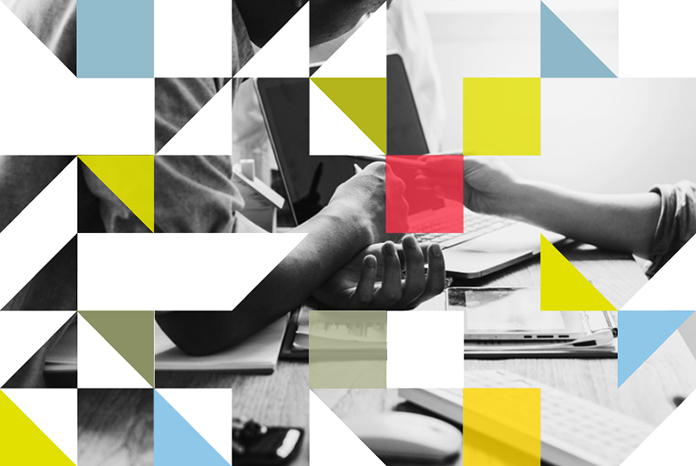 I’ve been working with Futurity for a few years now and regularly team up with them by designing reports, e-books, infographics and presentations so I was only too happy to help them with a new logo and identity. Futurity specifically wanted to avoid the usual technology logos designs and decided on a geometric typographical logotype after initial logos were created. 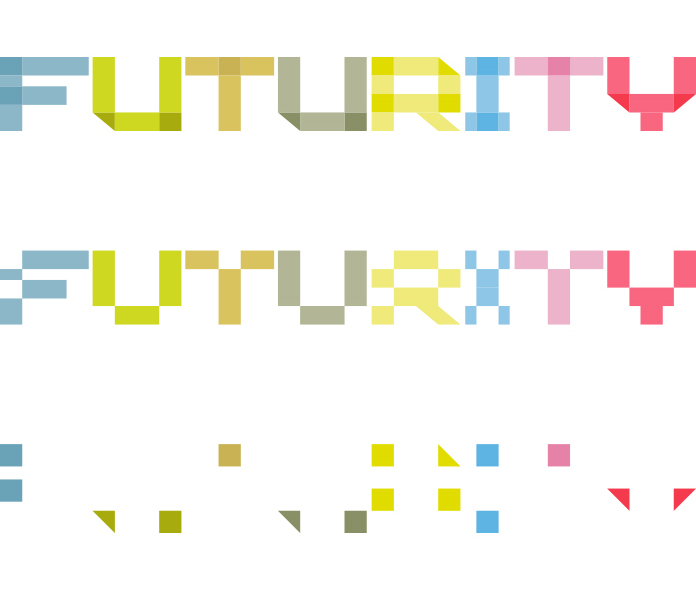 The multi-coloured letterforms in the word ‘Futurity’ create a pattern made of squares and triangles which is used as a graphic device throughout the new identity. 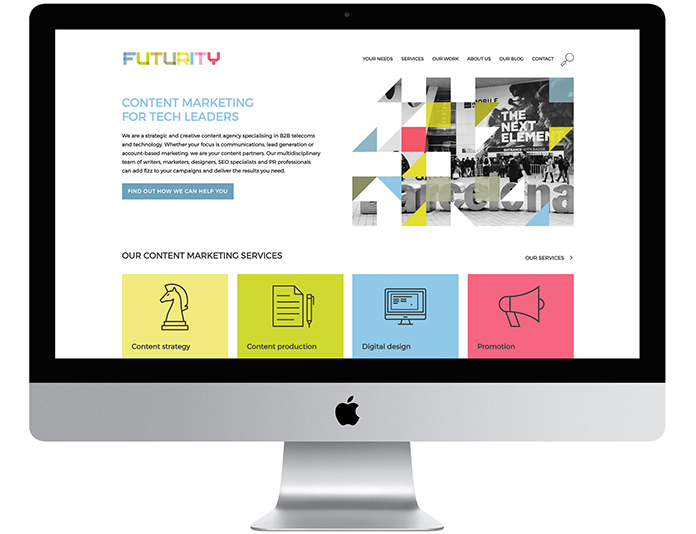 Edmundson Design and Futurity both worked closely with Transcend Marketing who built the new website based on flat design visuals. The new website can be seen here.